Well there’s certainly a lot going on! I was tempted to keep this week’s email newsletter Brexit free but it would be irresponsible to ignore the most important decision we have taken since the Second World War. In short, Parliament will begin a five day debate on Tuesday and then vote the week after on whether to accept the Prime Minister’s Brexit “deal”. I will not be voting for it but will be supporting a cross party amendment which rejects Theresa May’s “deal”, ensures we will only leave the EU with a good deal in place (so it rejects a “no deal’ Brexit) and keeps Parliament at the heart of what happens next. As you know, I believe the best deal is the one we currently have with the EU – it’s unique, cannot be replicated if we leave and has served us well. However, I have argued that if we leave the EU we should retain our membership (in effect) of the single market and the customs union, the so called ‘Norway plus’ model. I’ve made that case and voted for it for the last two years. Whichever Brexit “deal” Parliament settles on, it should be returned to the people so you can have the final say now we know what Brexit looks like. Three things are for sure; firstly, whichever way you do it, Brexit will make us poorer; secondly, people are entitled to change their minds and; finally, young people who will be most affected have a right to a say over their future. A huge injection of extra cash into our NHS to improve services this winter, means the QMC will have a radically improved Emergency Department. Dr Mark Simmonds showed me around this morning and he is rightly proud of the project which will be completed in a few weeks’ time. 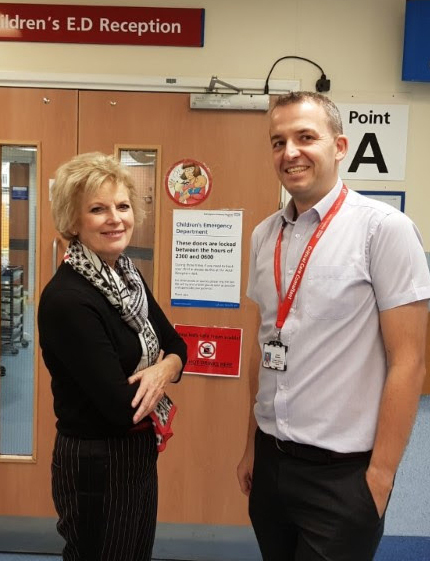 In just three months the entire department has been reorganised and pretty much rebuilt, with extra capacity, improved services for patients and better working conditions for the staff. The plans came after full consultation with everyone who works in the Emergency Department and associated areas. The £6.4 million plan has been funded out of the Government’s extra funding to improve NHS services during the winter when demand peaks. The Government has pledged an extra £20 billion a year in NHS funding for five years. This money will be provided to the NHS whether we leave or stay in the EU. The new ED will open on December 18th. Broxtowe Women’s Aid, which provides refuge for women who have been abused by male partners, joined the police and members of Broxtowe Borough Council to support the White Ribbon Campaign. 104 pairs of shoes represented the number of women killed by violent partners. I was pleased to add my support to the campaign. Well done Stapleford Councillor Richard MacRae who organised a St Andrew’s Day celebration in Walter Parker VC Square this morning. It was good to see our Mayor and Mayoress, Derek and Sonia Burnett, there along with Town Councillor David Grindell. Citizens Advice Broxtowe is going from strength to strength. 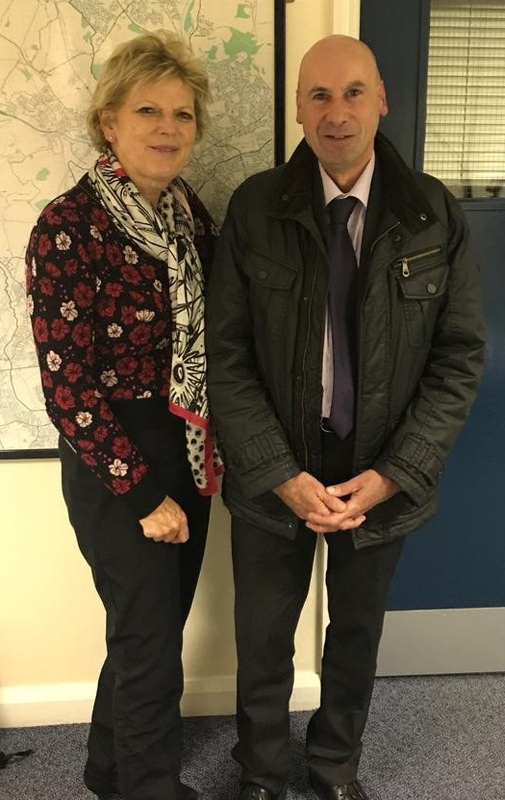 At yesterday’s meeting with project manager Neil Clurow, he outlined how the CAB is using funding from Broxtowe Borough Council to help new claimants apply for Universal Credit, which has been introduced via the Beeston Job Centre. The Government is making £39 million available to CABs next year to assist applicants. Neil also told me how Broxtowe Citizens Advice is providing EU funded advice about Brexit – especially for EU nationals and businesses. Please click here for more information. There was a great turnout for the Stapleford Christmas lights switch on and congratulations to everyone who helped on Saturday evening. The lights go on in Beeston on Saturday evening and tonight in Kimberley. This year’s Christmas card competition closes on Monday 3 December so please be sure to submit your entry by then. Photographs from local amateurs must be of local scenes. 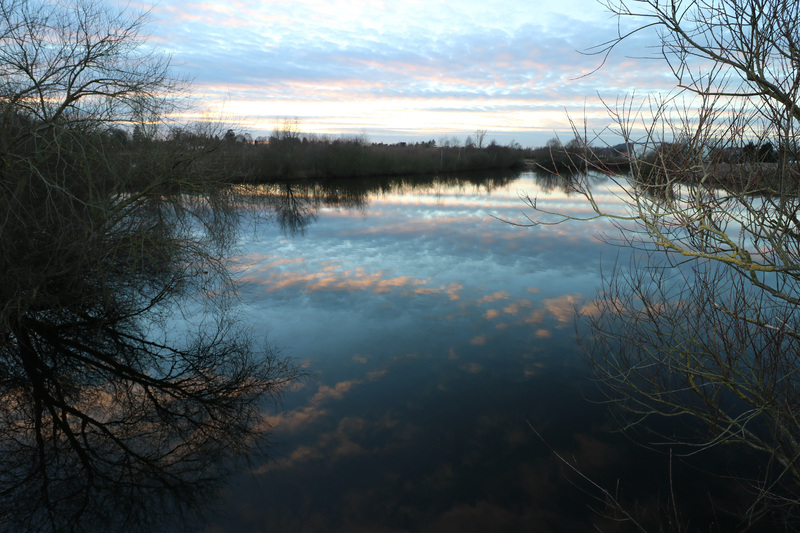 This lovely shot of Attenborough Nature reserve was entered by Colyn Kemp who lives in Beeston. The winning entry will feature on the front of my Christmas card with runners up on the inside. My thanks to everyone who has already submitted photos.